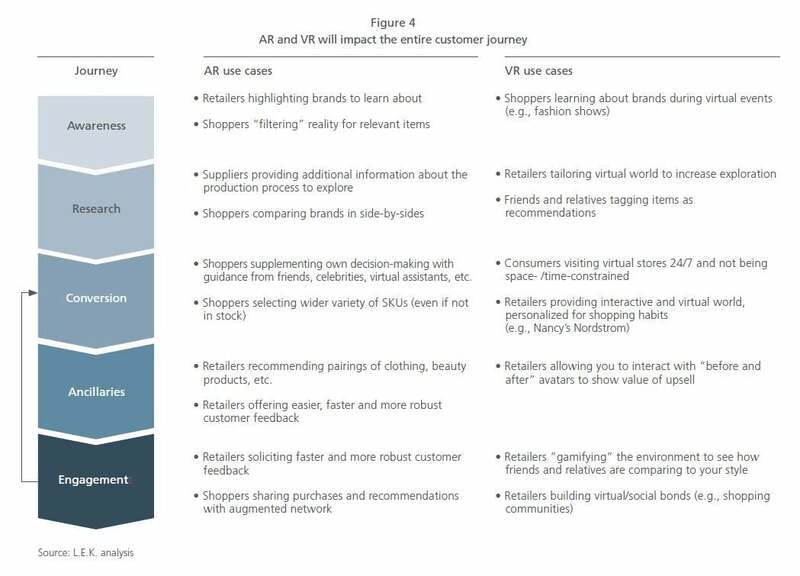 Virtual reality and augmented reality will transform retailing. But how, exactly? 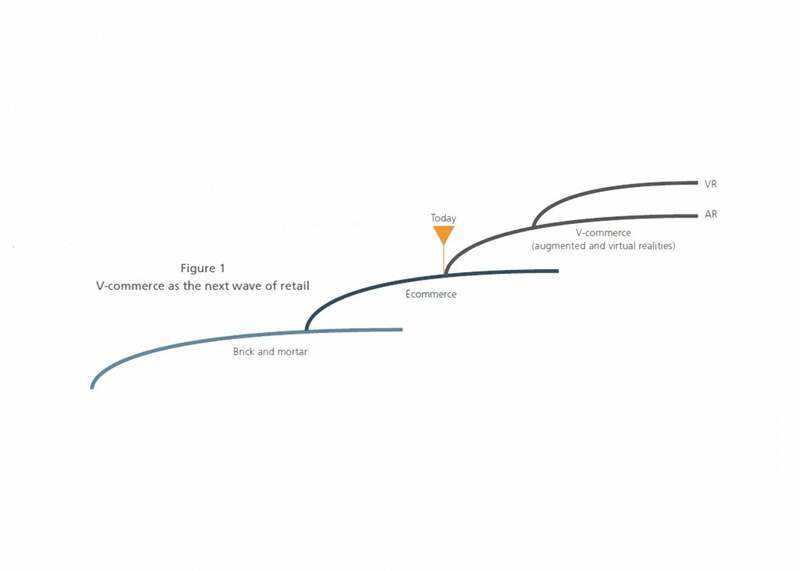 Several months after we first addressed the question (Augmented and Virtual Reality Will Reshape Retail, Harvard Business Review, September 9, 2016), the likely impact of these dynamic new technologies on the retail industry is becoming a bit clearer. Augmented reality (AR) and virtual reality (VR) bring the potential for entirely new shopping experiences and new kinds of added value. They are the gateways to “v-commerce,” a blend of brick-and-mortar retailing and ecommerce that borrows elements of each while overcoming the limitations of each. But what strategies will get us there? What is the best initial use of AR and VR? Given the level of investment needed, and the risk of getting it wrong, these are pressing questions. For answers — as with so many matters in retailing — look to your consumers to point the way. L.E.K. 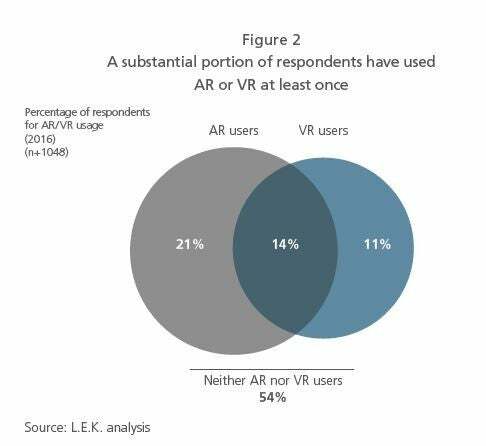 Consulting recently surveyed 1,000 consumers who had already experienced AR and VR technology. 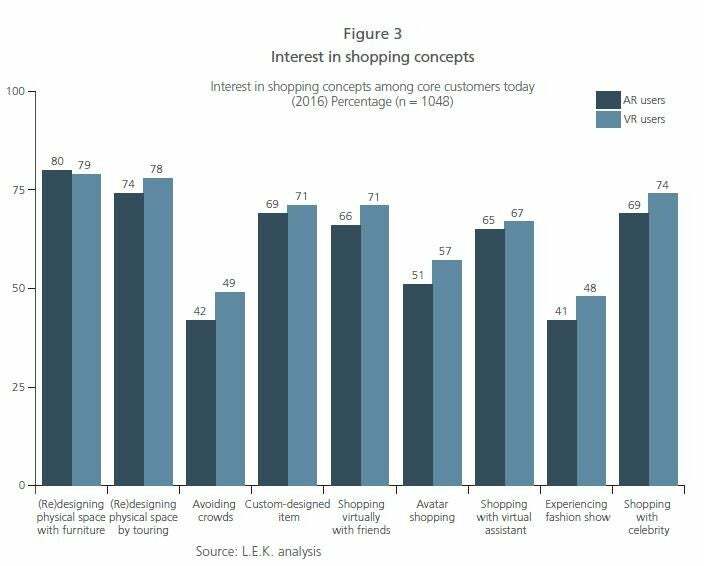 The results offer an initial look at what consumers hope to do when they shop in augmented or virtual realities. Retailers, take note. Understanding emerging consumer preferences may help you determine where and how to point your digital strategy.